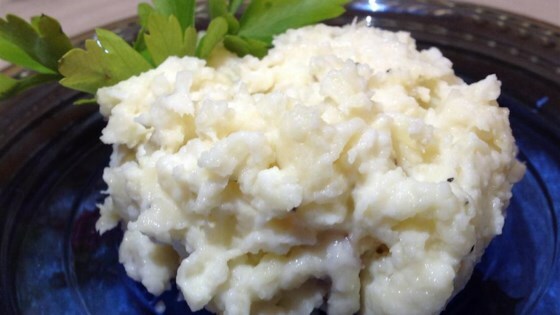 "This is a delicious, low-carb way to trick-out your standard mashed potatoes. By using half celery root we'll not only save a bunch of carbs, but more we'll create something very delicious and unique." Place potatoes and celery root into a large pot and cover with salted water; bring to a boil. Reduce heat to medium-low and simmer until tender, about 20 minutes. Drain and coarsely mash with a potato masher. Mash butter, nutmeg, salt, and black pepper into potato mixture until desired consistency is reached. Fold cream into puree until just combined. See what earthy celery root does for basic mashed potatoes. We really enjoyed the flavor of the celeriac in the mashed potatoes. I will definitely make this again!